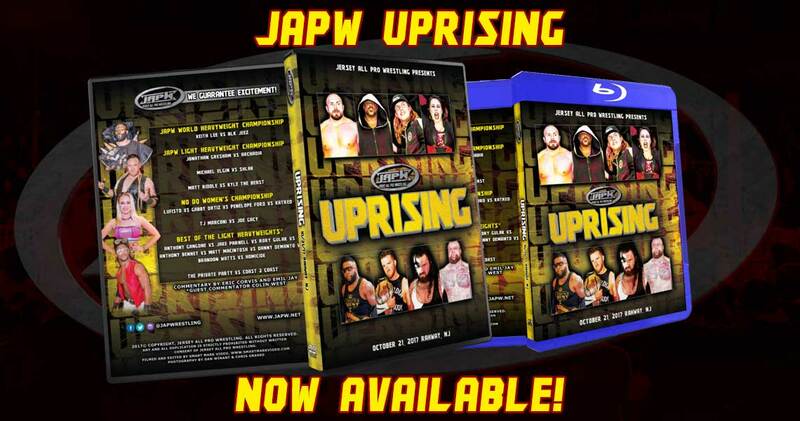 JAPW Uprising Now Available on DVD, Blu-Ray, MP4, and VOD! 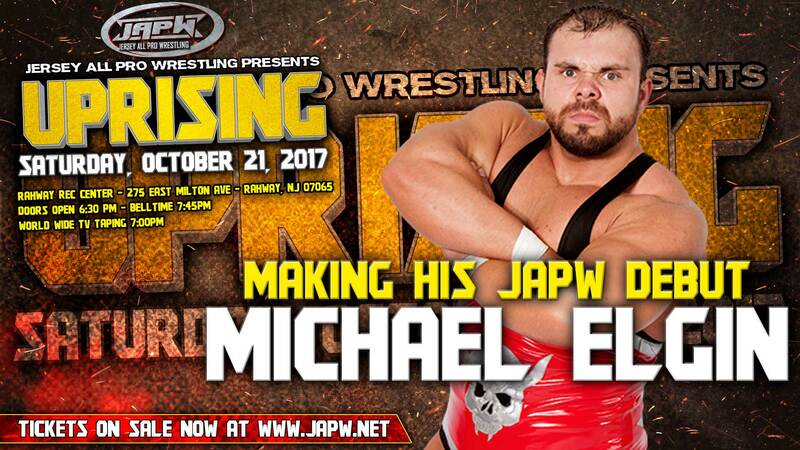 JAPW Uprising from October 21, 2017 is now available on DVD, Blu-Ray, MP4, and VOD! Read moreJAPW Uprising Now Available on DVD, Blu-Ray, MP4, and VOD! 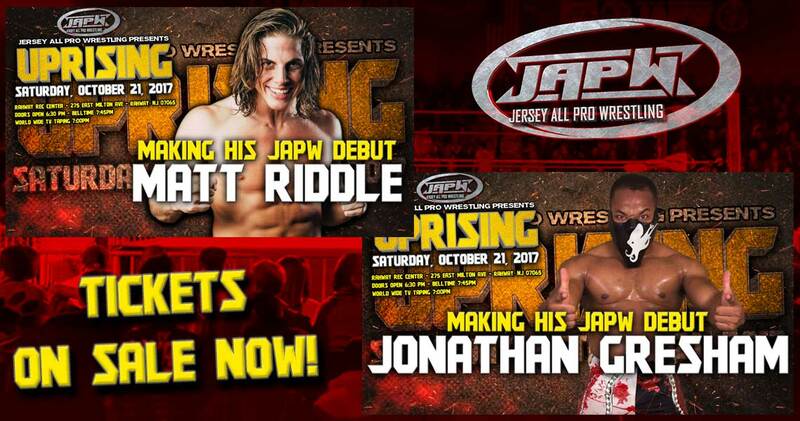 Matt Riddle and Jonathan Gresham to debut 10/21 in Rahway, NJ! 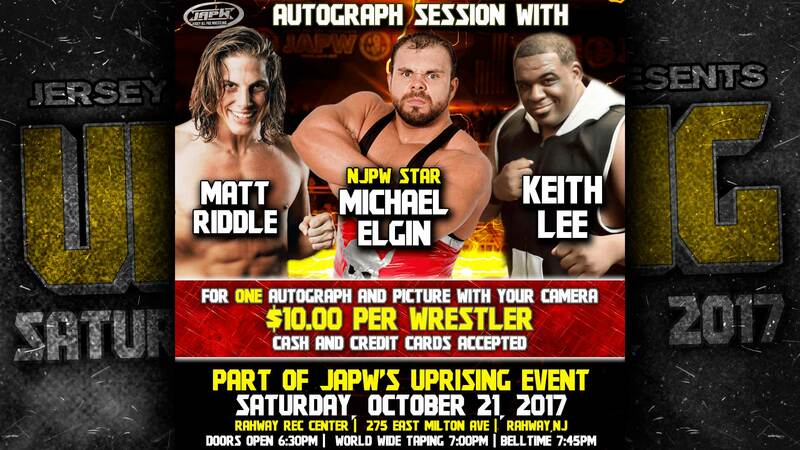 In case you missed it, as announced on Episode 1 of JAPW World Wide TV, Matt Riddle and Jonathan Gresham will be making their JAPW debut on October 21st in Rahway, NJ at the Rahway Rec Center. You don’t want to miss it! 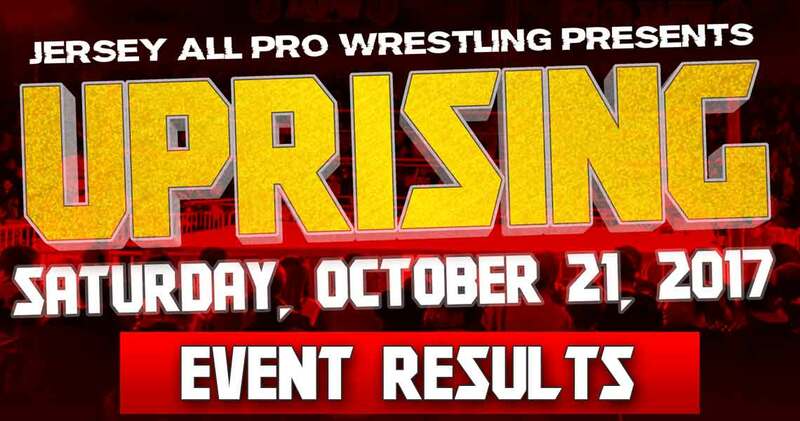 The JAPW show “Uprising” scheduled for October 7th, 2017 has been moved to October 21, 2017 in Rahway, NJ at the Rahway Rec Center located at 275 East Milton Ave. Doors will open at 6:30 pm with a 7:45 pm belltime. There will be a special World Wide TV taping at 7:00 pm prior to the main show. 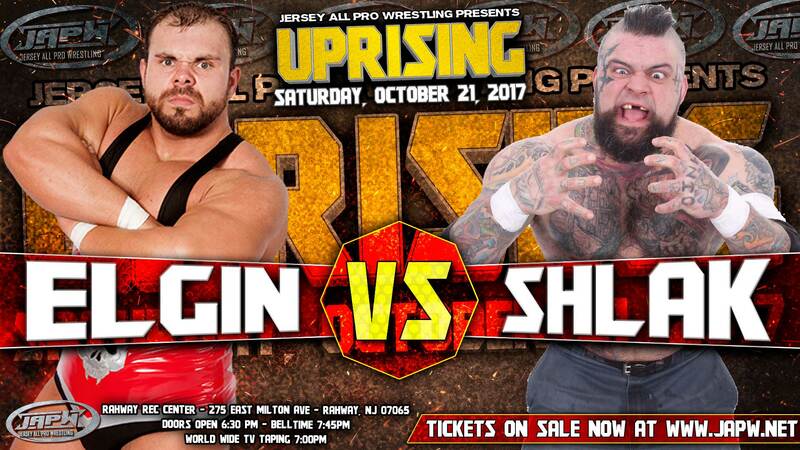 Tickets for “Uprising” will go on sale immediately following the return episode of JAPW World Wide TV which airs on the Jersey All Pro Wrestling or ModTrom YouTube channels THIS SUNDAY August 20, 2017 at 12 pm / noon EST. 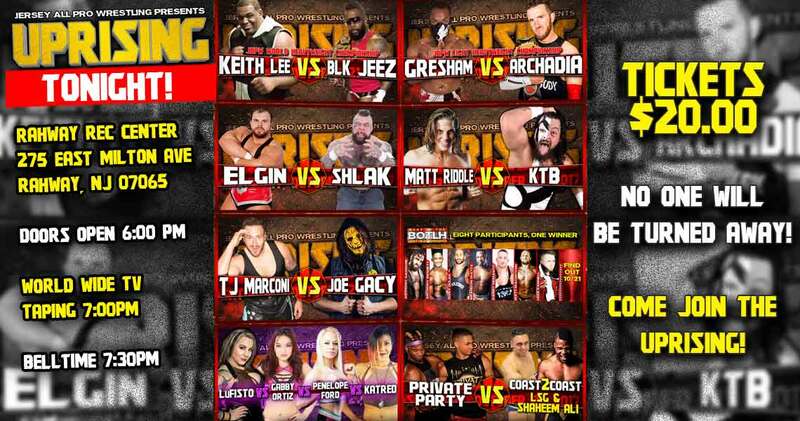 Who’s appearing at Uprising? What matches will take place? 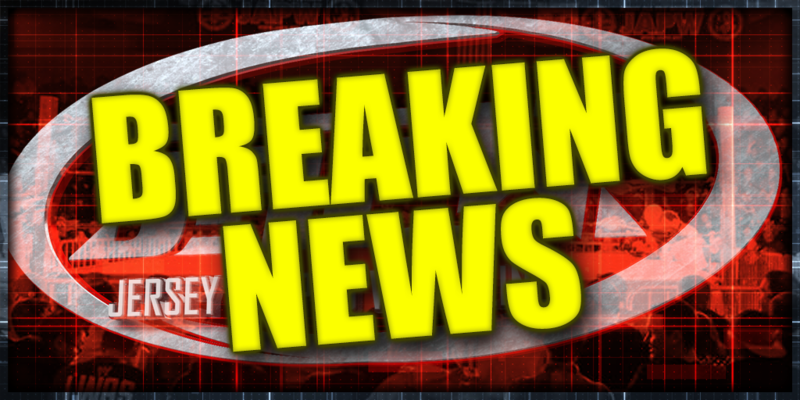 You don’t want to miss World Wide TV as details will begin to be announced as early as THIS SUNDAY.